This tip is relevant to versions 2007 and 2010 of Microsoft Word. If you have running headings in a Word table you don’t put in your own page breaks. 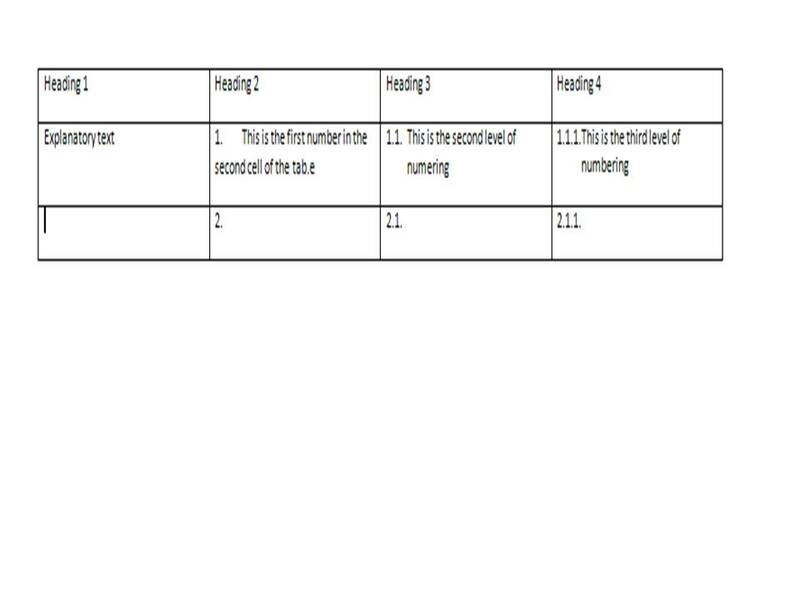 However, sometimes the split that occurs when the table breaks to go to a new page, may split a row of information in a way that doesn’t suit you. In those situations you need to tell Word NOT to split rows, as splitting rows is a default setting. 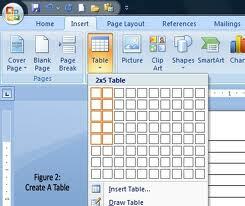 Create the table and ensure your cursor is somewhere in the table. Click on the Table Tools: Layout tab. Click on the Properties icon. When the window opens click the Row tab. 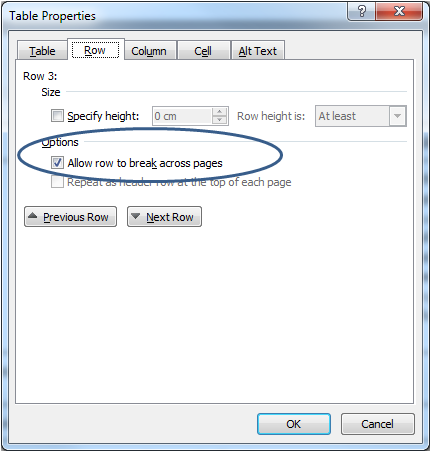 Deselect the checkbox for Allow row to split across pages and then click OK. Problem solved and your rows no longer split!